At first I was like, "Whoa! 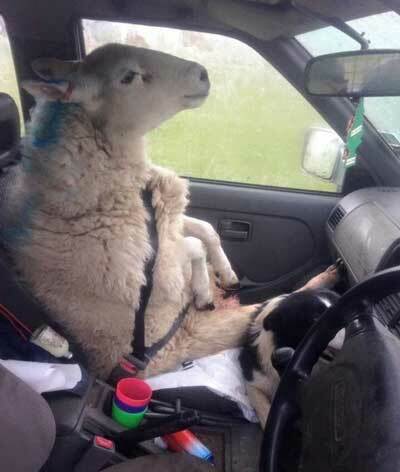 Why is that sheep driving?!" Then I realized this was in upside-down land, where everybody drives on the wrong side of the road, men are very manly, and the sheep are terrified. Actually, I think the sheep looks pretty chill.